Transformers Legends's Next Update Is Beast Wars. Hell Yeah. 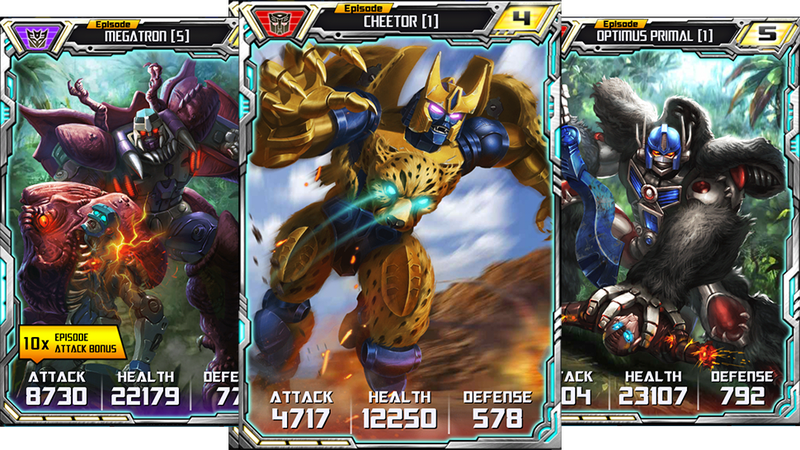 Free-to-play mobile card collecting game Transformers Legends has been slowly slogging through early Transformers history for what seems like ages. Now they're getting to the good stuff in the next update — Beast Wars. The computer animated show started off slow and built to a wondrous crescendo, attaching itself to first-generation cartoon continuity through a combination of clever writing and dumb luck. There are some really good episodes in the series' run, one of which marks the second time Transformers made me cry, the stupid jerk. What does the upcoming update have to do with Beast Wars? Let's see what the official page says. Our new episode "Beast Wars" will pit Megatron and his Predacon forces against Optimus Primaland his Maximals! Animal savagery meets mechanical might in this brutal battle for dominance. Whatever! Just give me Beast Wars cards. Oh yeah, that's the stuff. Transformers Legends is available free for on Android and iOS right now. The Beast Wars update can't come soon enough.